Contractors State License Service is one of the only contractor schools in the state that is run by educators, not lawyers or people mostly interested in the bonding and insurance business. Most importantly, CSLS operates under the provisions of the California Private Postsecondary Education Act of 2009 which is administered by the Bureau for Private Postsecondary Education. CSLS offers comprehensive application processing by trained professionals - we will even submit it to the Contractors State License Board (CSLB) on your behalf. 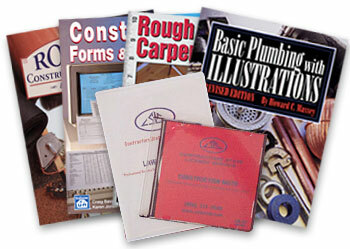 We offer licensing classes for all types of contractor licenses, including: General Engineering Contractor | General Building Contractor | Specialty Contractor | Insulation and Acoustical Contractor | Framing and Rough Carpentry Contractor | Cabinet, Millwork and Finish Carpentry Contractor | Concrete Contractor | Drywall Contractor | Electrical Contractor | Elevator Contractor | Landscaping Contractor | Warm-Air Heating | Ventilating and Air-Conditioning Contractor, and many others. Who Needs A California Contractors License & What Kinds Are There?